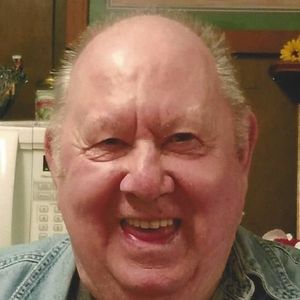 BELTON - Donald Hugh Latham, 78, of Belton, died Thursday, June 22, 2017, at 2:29PM at Ridgewood Terrace in Madisonville. Mr. Latham was born September 21, 1938, in Logan County. He was a carpenter and of the Church of Christ faith. He was preceded in death by his parents, Hugh and Nancy Latham; wife Joyce Latham; sister Carylon Smith; and son Tim Latham. Survivors include his son, Barry Wade (Dawn) Latham of Belton; daughter Donna Stanley of Belton; daughter-in-law Lora Latham of Russellville; grandchildren Jennifer Martin of Belton, Mike Stogner of Beaver Dam, Ashley Latham of Drakesboro, Cody Stanley of Powderly, Amanda (Bradley) Glover of Russellville, Molly Latham of Russellville, and Zoe Latham of Belton; great-grandchildren Alex Martin of Manitou, Kaylee Alvey of Drakesboro, Karter Gunterman of Drakesboro, Jaydyn Payne of Powderly, and Talyon Stanley of Powderly; brothers Herman (Oleta) Latham of Greenville, Ray (Carylon) Latham of Beechmont, and Dennie (Linda) Latham of Dunmor; and brother-in-law Bob Smith. Graveside funeral services will be Sunday, June 25, 2017, at 2:00PM at Mt. Moriah Cemetery, with Mr. Darrell Puryear officiating. Burial to follow. Visitation will be Sunday from 11:00AM - 2:00PM at Tucker Beechmont Funeral Home. Online condolences may be made at www.tuckerfuneralhomes.com. Cody Stanley, my deepest sympathy to you and your family. Love you. Please accept my condolences and have the strenght from God during this time of sorrow, Phillipians 4:13.